Chi Institute is proud to offer an extensive array of high-quality Continuing Education (CE) courses in Traditional Chinese Veterinary Medicine (TCVM) for veterinarians and veterinary school students exclusively. Students who have never taken a TCVM course can get a quick introduction with our introductory seminar or begin directly with our veterinary acupuncture certification course, which is offered separately to small animal and mixed animal practitioners. Students with prior background in veterinary acupuncture or herbal medicine can expand their TCVM knowledge with our advanced CE courses. The Annual TCVM Conference is a great way for participants to remain up-to-date on advances in the field and network within the global TCVM community. The Basic Acupuncture Program certifies students in Mixed Practice Veterinary Acupuncture (small animals and equine) and Small Animals only. After completion of the course, students become Certified Veterinary Acupuncturists (CVA). The Chi Institute of Europe Scholarship for Continuing Education Courses was established as part of an effort to promote the presence of TCVM in veterinary medical schools. Through this scholarship, Chi grants a total of 7000€ worth of scholarships to ten applicants each year toward its Certified Acupuncture courses. Scholarships are awarded to veterinary school students, practicing vets and veterinary school faculty members, residents and graduate students. Covering all four branches of TCVM, the Advanced Programs are the next step to your TCVM training. Chi Institute's advanced programs are offered to veterinarians with prior acupuncture or other types of Chinese Medicine training in order to broaden and deepen their knowledge of TCVM. These programs are intended to offer practitioners comprehensive training in all the major branches of TCVM (acupuncture, herbal medicine, food therapy, and Tui-na). The prerequisite requirements and course structure vary from program to program. Browse through the advanced programs below to find out more. Training for veterinarians in all places of their TCVM journey. This courses and seminars are meant to be a window to TCVM. Get acquainted with the history, scientific basis, benefits, and practical examples of TCVM. 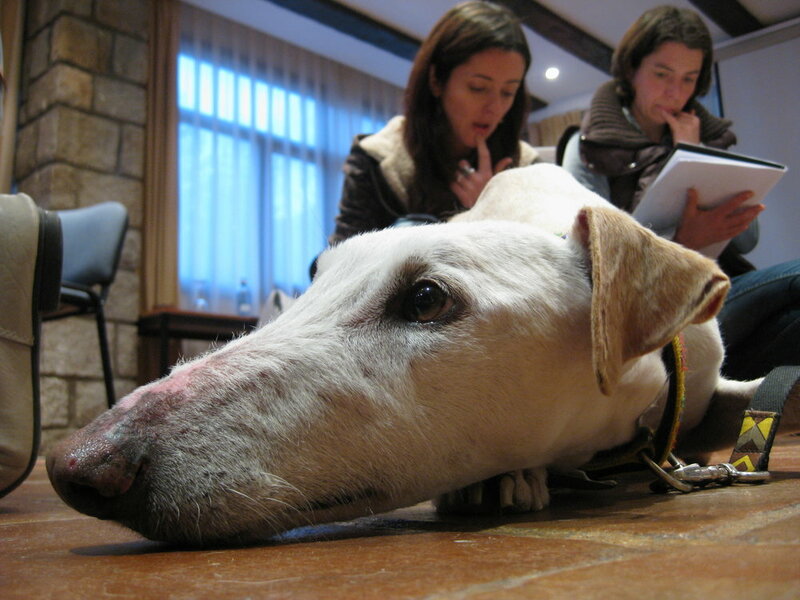 The courses at the Chi Institute of Europe are for veterinaries. No previous notions of TCVM are required for the courses in this section. These introductory seminars cover the fundamental principles of Traditional Chinese Veterinary Medicine (TCVM) and its 4 major branches for veterinary medicine: Acupuncture, Chinese Herbal Medicine, Food Therapy and Tui-na.